The European GNSS Agency (GSA) has released a report it says will help users and manufacturers to understand receiver technology and trends. GSA needed to examine user needs in the face of future positioning performance, new and modernized GNSS signals, and advances in semiconductor technologies, said Carlo des Dorides, GSA executive director. The GSA GNSS User Technology Report will helps industry executives plan and make decisions to develop, purchase, and use the systems’ technology, the agency said. GNSS receiver and chipset manufacturers contributed to the report, which projects that 100 percent of all new devices will be multi-constellation-capable in the next few years. Currently, 65 percent of all chipsets and modules support multiple constellations, the report said. It also said that only 30 percent of mass market and professional receivers are capable of using the four available global constellations. The report groups user technology into three macrosegments: mass market solutions; transport safety and liability-critical products; and high-precision timing and asset management. 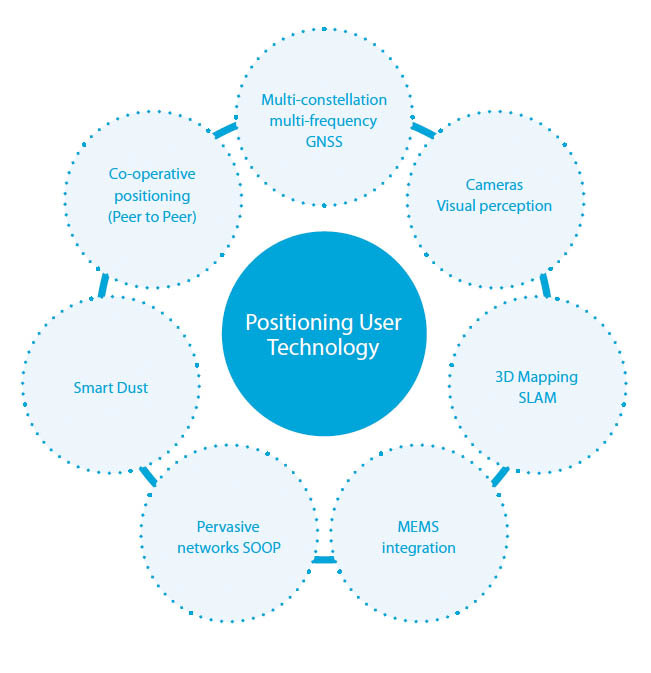 The report also gives a general overview of the latest GNSS receiver technology common to all application areas, along with a supplement on location technologies, GSA said. Receivers targeting such safety-critical applications as aviation must wait for new technologies to be proven and new standards or regulations to become available prior to implementing them. In terms of supported frequencies, 30 percent of all receivers implement more than one frequency, mostly in high precision. With the increasing demand for better resilience across all applications, the need for higher accuracy and integrity that automation demands, adoption of dual frequency solutions (E1/L1 + E5/L5) is expected to grow. In the mass market, the chipset supply chain is extremely consolidated, with a few players worldwide driving innovation. For liability and safety critical transport solutions, a consolidated industry with an important European presence dominates innovation in automotive, maritime and aviation, while new players are expected to emerge in such new applications as autonomous vehicles. utility receivers, chipsets, and modules. Companies participating in the report include: Avidyne, Broadcom, CSR, Esterline, Furuno, Garmin, Hemisphere GNSS, Honeywell, Infineon, Intel, Japan Radio Co., John Deere, Kongsberg, Leica Geosystems, Mediatek, NavCom Techology, Nottingham Scientific Ltd, NovAtel, Omnicom, Orolia, Qualcomm, Rockwell Collins, Septentrio, SkyTraq Technology, STMicroelectronics, Texas Instruments, Thales Avionics, Topcon, Trimble, U-blox, and Universal Aviation. GSA said that the report uses the agency’s internal technology monitoring process (TMP) that complements GNSS supply industry market monitoring and forecasting. This process supports GSA in analyzing Galileo’s position among other GNSS and location technologies, the agency said. TMP also assesses the capabilities of receivers, chipsets, and modules currently available on the market. For the analysis, each device was weighted equally, regardless of whether it is a chipset or a receiver, and no matter what its sales volume, GSA said.